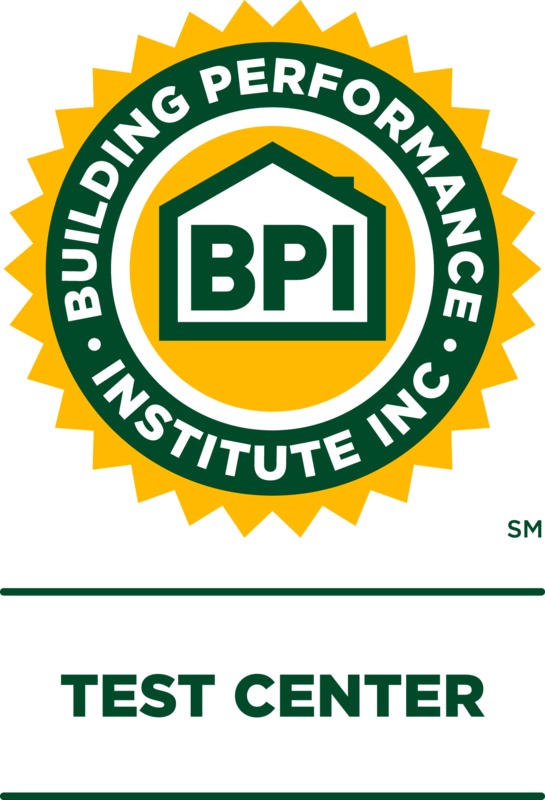 Proctored online BPI Energy Auditor written exam with instant scoring by BPI! Background on Local Home Performance with Energy Star and energy efficiency programs. Retrotec Q46 blower door with DM-32 digital two channel pressure sensor with cruise control, and cloth panel door with adjustable aluminum enclosure and Retrotec 2000 fan. For more information on this unit click here. Retrotec DU200 DucTester package with DM-32 digital two channel pressure sensor with cruise control, and Low flow fan, carrying case, click here. Carbon Monoxide analyzer, UEI CO91. For more information on this unit click here. Combustion analyzer, UEI C155. For more information on this unit click here. Combustible gas leak detector, UEI CD100A. For more information on this unit click here. Digital Manometer, Retrotec DM-2a. For more information on this unit click here. FLIR/Extech i5 compact infrared camera and general-purpose Thermographic imager (only the basics, this is not required for the BPI exam). For more information on this unit click here. © 2009-2017 EnergyScore, Inc, all rights reserved. EnergyScore® is the registered trademark of EnergyScore, Inc.